With Dropbox, you can first register for free and receive once 2GB of free online storage for their own data. To increase esen space, Dropbox offers a variety of models. On the one hand you can by following a tutorial and "attracting new users" to increase its memory up to 8 GB. Receive each new user (with free account), both of Referred, and the advertiser 250 MB additional space. insufficient Who the 8 GB, the Dropbox offers more storage fee to. What is the benefit of Dropbox? Data can be between multiple computers with almost any operating system and also synchronize with other mobile devices. In addition, the data can retrieve via a web interface. For access to the dropbox, there are now clients for Mac, Linux, Windows and apps uA for the iPhone, iPad and iPod touch, as well as Android and Blackberry. The Dropbox offers one also some options for dealing with files that had been on almost any system. On the one hand, it is also older versions of a document to restore. On the other hand, you can share certain data in the Dropbox for non-registered users, for example to enable a particular document continues without immediately using an FTP server, or the like. Once installed, the client runs in the background and the sync process runs automatically. There are no traffic limits. Another nice feature of the client's LAN sync functionality. So files directly between computers on the network, that is synchronized without going through the Dropbox server. This saves time and increases availability. Of course, the file is still loaded in the cloud. A list with all the features found here . Where there is light, there's always shadows. Therefore comes the dropbox therefore not entirely without drawbacks. So users do not have such opportunity to upload their own data with encryption. The encryption code, the drop box is used, initially known only to the developers. This means that no third party shall have easy access to the data, the developer, or the Dropbox service but theoretically already. So if you want to play it safe, you can store its data in an encrypted disk image, for example, and then upload. Like most providers of online storage to keep the Dropbox developers the right to delete data from inactive free accounts. This disadvantage, however, concerns a not for normal use. Moreover, the data are lying in the Dropbox folder on that computer also available as a copy on each machine, even if they are deleted by the Dropbox service from the server. I find the service really great. I use Dropbox now for over half a year and have never had any problems so far. Apply this service for me, especially for information, ie scripts, documentation, calculations, etc., which I would like to have some on both the iPhone, but especially on the small netbook. In addition, I synchronize partially with the Dropbox settings files for specific programs on Mac OS X. So my adjustments on both devices are always synchronized. Currently I also have only a free account, which is sufficient for my purpose at the moment but perfectly. Of course, I am also very happy about extra space. 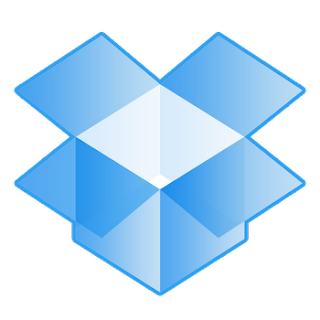 The developers of Dropbox also offer a quick tour of where the service, its functions and the setup will be explained. My Dropbox Link - When registering through this link you and I each get 250MB extra space. I hope you enjoyed this brief report. If you have questions I am glad to see your comments on this article. Gladly you can also post your Dropbox referral link here.